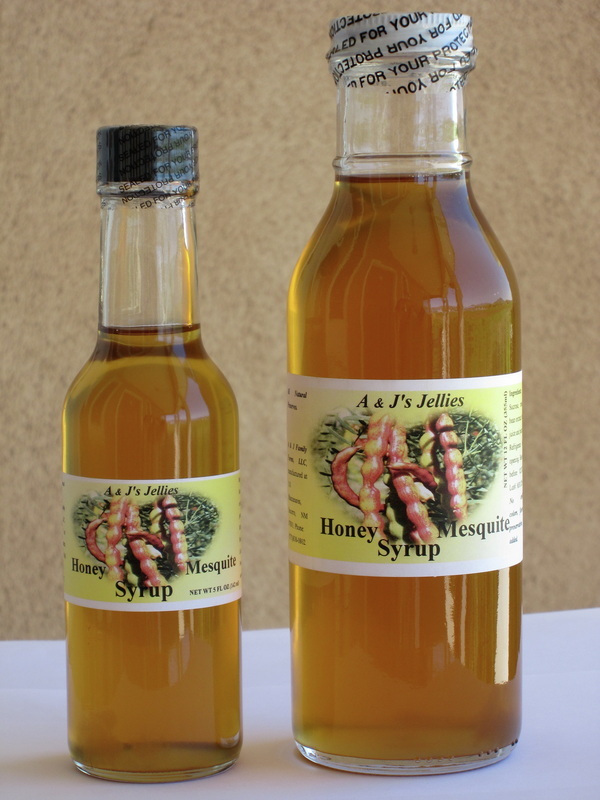 Mesquite bean syrup has the same delightful color and flavor as its jelly counterpart. 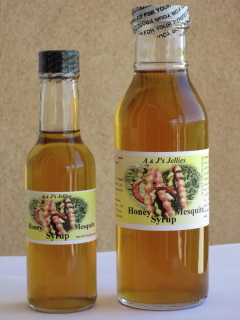 We use it on pancakes, waffles, cornbread, sopapillas, fry bread, and biscuits. We use it as a topping on ice cream, and to make a glaze on some muffins; e.g., banana nut and poppy seed muffins. We also use it as a glaze on pork and chicken, and in hamburgers and meatloaf. We market it to coffee houses where it is used to make lattés. We use it to sweeten hot teas and coffee. It mixes nicely with a variety of adult beverages. It makes an outstanding vinaigrette salad dressing. Price listed including shipping cost. Special order. Take 2-3 weeks to make it. Price listed including shipping cost.